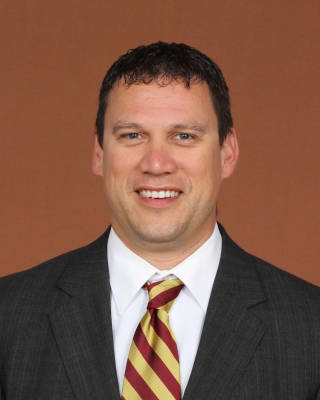 Dan Carrington enters his second season as an assistant coach at Florida State. Carrington comes to FSU after serving as an assistant coach for Miami (Ohio) University for two seasons, following his second stint at Duke. While at Duke, Carrington helped 12 swimmers achieve All-ACC status from 2011-2014, in addition to qualifying athletes for the NCAA Championships. Carrington also served as the head coach at Southwestern University from 2009-11 in Georgetown Texas, where he helped produce the first SCAC champion in two seasons and first NCAA automatic qualifier and All-American in school history. In 2011, Carrington earned the ASCA Award of Excellence, which is an honor that recognizes those coaches who coach a swimmer to a top-eight finish at one or several USA national championships. His first stint at Duke came in 2007-08 season, which was his first collegiate job. In addition, Carrington served as a the Site Director and coach at the Durham YMCA, was an assistant and age group coach for Delaware Community Schools and an assistant for Yorktown High School. Carrington earned his Bachelor of Science Degree from Ball State in 2002. In addition to his coaching experience he served as an Associate at Biogen Idec from 2013-2014 and was a QC Chemist for Eisai from 2011-2013.